Posted by Dave Of Prescott in Events, Mountain Biking, Trail Running. The Official Results of the 2011 Go! Off Road Duathlon held in Prescott, AZ on March 12, 2011 are now posted on the GORD website. Here are a few highlights and other tidbits about the event. Fastest Overall Male – Dan Hight (39) from Prescott with a time of 59:57. Dan came in from the first run 58 seconds behind the leader, but rode the fastest mountain bike leg with a blistering split of 34:53 for the 8.2 mile course. Fastest Overall Female – Sandi Scrimgeour (46) from Prescott with a time of 1:15:22. Sandi also had the fastest female bike split with a 43:43. On his final trail running leg, Chris Bray ran at a 5:58/mile pace. Vickie Nelson of Team BFC Racing had the fastest women’s pace of 7:05/mile on the final leg. Resolute Sasquatches (either Pete or Justin) had the fastest pace of the day at 5:52/mile….wow! That is smokin’. Brian from The Fat Tire Loafers had the fastest team bike leg at 36:34. Our competitors ranged from 25 to 62 years old. High Gear Bike Shop gave us lots of fabulous prizes to give away! There are some photos posted on the GO-AR Shutterfly page. If you were there and took any photos, or know someone who did, please send them to us at this address: info (@) go-ar.com, we can put them up for all to see. Posted by Dave Of Prescott in Adventure Recreation, Events, extreme sports, Mountain Biking, Trail Running. Well, another successful Go! Off Road Duathlon is in the books. A HUGE thank you to all you racers and our World Class Volunteers! Here are Preliminary Results by Age Group and Division. Comprehensive results including the splits will be available in a few days. If you see anything in these results that you don’t think is correct, please let us know immediately so we can look into it. Posted by Dave Of Prescott in Adventure Recreation, Events, Mountain Biking, Trail Running, trails. Prescott, Arizona – The Go! Off Road Duathlon is to be held on March 20th, and is in need of volunteers to do a multitude of jobs on and off the course in order to make the race a fun and safe event for all the participants. The race is in triathlon format, except there is a run in place of the swim, and it all takes place on trails! It starts with a 1.5 mile trail run, then a 8.2 mile mountain bike ride, followed by a 2.2 mile trail run. If you would like to volunteer for this event, please visit the link above to visit the race site. Several of us went out and rode the course for the upcoming Go! Off Road Duathlon or GORD this last weekend. The first running leg is 1.5 miles. The first third of that leg is on wide track trail that is part of the Brownlow Trail system in Pioneer Park. The other two-thirds is on single track trail that winds through the pinon, juniper and scrub oak trees. The second leg of the race is he mountain 8.1 mile mountain biking leg. It too incorporates wide track and single track, but it is no walk in the park, it has about 900′ of climbing and some challenging twisty single track on the north end of the park. The final leg of the GORD is another trail running leg of 2.2 miles. It starts out on single track, and ends with almost a mile of the wide track trail to allow racers to not have to concentrate so much on foot placement, but just let the dogs run. There has been a lot of rain and snow here in the last month, so we didn’t know what kind of shape the trails would be in. To our pleasant surprise, the single track is in as good a shape as I have ever seen it. Some sections of the wide track are going to need some dragging, there are some places where the water washed a bunch of sand down over it, and a few fairly deep ruts. With the race still five weeks away, I will be riding it many more times. Posted by Dave Of Prescott in Adventure Recreation, Events, extreme sports, Mountain Biking, Trail Running, trails. We have just finalized dates and permits for the 2010 Go! Off Road Duathlon to be held once again in Prescott, Arizona in the spring. The race date is March 20, 2010. Race registration will open on November 15th, and will close when we have 150 entries or on race day whichever comes first. For all the information about the GORD visit the race web page. You can also look in the tag cloud to the left and click on GORD to see all the posts that have the race tagged in them. This includes results from the 2009 event so you know what to shoot for! Posted by Dave Of Prescott in Adventure Racing, Events, Mountain Biking, Trail Running. It took me a couple of nights to sift through the time sheets and get it all put to spreadsheet, but I am happy to announce that the Official Results, including splits are now posted on the GORD site. You may remember that I wrote last week that I thought a 40 minute split would be hard to do on this course? Well, I was being a piker!! There were 4 racers under 40 minutes, and the two top men did it in 34 and some change…..seeing as how my best is just under 45, now I am going to have to go back out there and try it again! There were some seriously strong athletes out there on Saturday, and it was really neat to see people of ALL levels having a great time and interacting at a fun event. Posted by Dave Of Prescott in Adventure Recreation, Events, Mountain Biking, Trail Running. Here are the Divisional Results for the race. On Monday morning a group of folks who will be racing in the GORD came up to pre-ride the course. Rick, who runs Sierra Adventure Sports was among them, however he won’t be racing. Instead Rick is going to be a volunteer and help with the timing. The fact that he is helping and not racing didn’t keep him off the bike though. In fact he almost looks like he is having too much fun in this photo! We rode at a leisurely pace, just enjoying a day on the bikes. It was windy as all get out though, and that kept it pretty cold out in the open or on exposed ridge lines. I certainly didn’t want to run the running legs, so the six of them and I rode all three legs of the Duathlon course. When it was all said and done, we stood talking in the parking lot about the course, and the day’s ride. Kim kept shaking her head and saying that it hadn’t been a good day for her, but I thought that she did just fine for being a flat lander and suddenly finding out what riding a hill at altitude feels like. We packed up our gear and loaded the bikes then decided to head into town for some mexican food. I called Tracie and asked if she wanted to meet us, and happily, she agreed. Kent also came to lunch. That made 9 of us: Rick, Kim, Dave (not me, a real athlete), Georgie, Lisa, Laureen, Kent, Tracie and me. We had a nice lunch and a better visit, and then they headed back to Phoenix with a good idea of what they are in for on Saturday when they arrive to race the GORD. Posted by Dave Of Prescott in Adventure Recreation, Events, Mountain Biking, trails. Saturday morning Hal, Kevin, Michael and I met out at the Brownlow Trail to pr-ride the entire Duathlon course. The trip was dual purpose (how perfect is that for a duathlon? ), Michael and his daughter are going to race as a relay team, so it enabled him to get more accustomed to the route, and Hal is going to volunteer for me, so I was able to show him where I need him this Saturday during the event. Kevin was there just to join us on a nice morning ride. After riding, we all had time to stop for lunch in town. Thanks guys! Posted by Dave Of Prescott in Adventure Recreation, Day Hiking, Events, Trail Running. This afternoon Tracie and I took our youngest granddaughter, Brynn on a hike. Yes, it was only a mile and a half, but for her little 5 year old legs it was a good long way. True to form, she was her same happy-go-lucky self the whole way. She carried a ziplock of goldfish crackers, and tried to identify all the tracks on the trail; horses, bikes and shoes. The three (actually four, counting our dog Gypsy) of us had a nice walk. We walked the first running leg of the Go! Off Road Duathlon, which is a nice mix of smooth wide track and a twisty single track. I think those of you that are going to race in the GORD next week will really like the variety of trails on the course. Tim, Kent and I went on a pre-ride of the GORD mtb leg again tonight, and the wind was howling. If the you are riding into a 25mph headwind and your computer shows 20mph, are you riding as hard as if you were really going 45mph?? It sure feels like it! We hammered hard tonight, and got it done it right at 45 minutes. I really don’t think that many people will do it faster than that on race day. That doesn’t mean that I think that I am fast or anything, but I know the course and was riding hard. I just can’t imagine anyone doing it in under 40 minutes, so come on you guys…….make me eat my words! The entries for the event are surprising me a little bit, still zero entries in either male or female 16-18 age group. Another surprise is that one of the divisions with a lot of entries is female 40-49 age group. And in one last statistic that makes me scratch my head is that less than 10% of our entries are local to the Prescott Area……hmmmm. I was glad that Tim came along tonight, as he and his wife have decided to enter in the Relay division in the GORD. Michael, Kent and I rode the mountain biking leg as well as one of the trail running legs of the GORD yesterday after work. It was pretty mild paced ride, and just a lot of fun to ride and visit with friends. I hadn’t seen Michael in over a month. During the ride, Michael said that maybe he and his daughter would team up and do the GORD as a relay team, and just a minute ago, he called to make sure there was still room in the event to enter! We rode until almost dark, doing about 10 miles. Posted by Dave Of Prescott in Events, Mountain Biking. Kent and I went to Pioneer Park this evening to ride the 8.1 mile mountain biking leg for the GORD. We rode pretty hard, but we didn’t really pound it, and ended up doing it in 47:32. I think that if I rode it hard, I could probably do it in 45:00 flat, but that would be tops for me I am pretty sure. I am thinking that the fastest time on the bike during the event will be in the area of 4o minutes. I really don’t see how it could be done much faster than that. So for all of you out there that are signed up to compete in the GORD, you can count on spending at least 40 minutes on the mountain biking leg. Posted by Dave Of Prescott in Day Hiking, Events, Mountain Biking, Trail Running. This afternoon I went to Pioneer Park and hiked the two different trail running legs for the upcoming Go! Off Road Duathlon. The sun was out and it was a beautiful 73 degrees. In the next few days, I hope to get to the mountain biking leg as well. It has more north facing slopes, so it is probably not as dry as the running legs are. I just hope that equestrians have stayed off of it during the very wet last couple of weeks, as the horses put huge holes into the trail so it feels like washboard to ride. Registrations are pouring in for the Go! Off Road Duathlon to be held March 14th in Prescott, Arizona. Entries are limited to 150, so don’t delay! We also are looking for able bodied volunteers who want to get out on the course and make sure racers do what they are supposed to be doing…..that’s right, YOU get to be a Marshall! (Sorry, no brass stars). Thanks to Barry at the Runner’s Den in the valley for putting up our poster and for his enthusiasm for our event. Thanks to Bill at Hensley & Co. for agreeing to make us up some banners and some promotional posters as well. And another thanks to Matt at Buzzmug.com for his ongoing support. and there are new sponsors signing up all the time. In fact, you or your company could get in on the action and be one! Posted by Dave Of Prescott in Adventure Racing, Events. One of the top multisport product suppliers has joined with us at the Go! Off Road Duathlon as an event sponsor. They are TrisSports.com located in Tucson, Arizona. TriSports is known throughout the world as the place to get the best deals on the best multisport gear. Entering this code does two things, first and foremost, it saves you money! Secondly, it shows TriSports that their sponsorship of our event is good for business, so they will be back next year! Well with less than 60 days until the event, it seems as though things are getting fast and furious now. We would like to welcome a new sponsor the the Go! Off Road Duathlon, it is the High Gear Bike Shop in Prescott, Arizona. Steve and Cindy at High Gear are donating some items for our prize drawing at the conclusion of the race. If you are looking for a new mountain bike, they deal in Cannondale, Trek, Haro, and Scott USA in the mountain bike category, as well as BMX bikes and road bikes. Steve has been in business in Prescott a long time too, I used to buy skateboard wheels from him in the ’70s. Duathlon entry forms are available at High Gear Bikes at the corner of Sheldon and Mt. Vernon in Prescott. Of course they are also available at “other bike shops” which at this point will remain nameless. I would love to name them, but they haven’t agreed to give us prizes yet! Usually not such a good idea….. But this morning I went out to ride all three legs of the Go! Off Road Duathlon that will be held on Brownlow Trails in Pioneer Park. I rode very carefully because I was alone…no hucks or jumps today. The first 1.5 mile running leg starts out on smooth fire road type trail then after about .6 it turns off onto a windy but fairly smooth single track that weaves and wanders its way back toward the TA. After racer transition to the 8.1 mile mountain bike leg, they will spend just about 30 seconds on the fire roads, then turn onto single track for about a half mile, where they meet fire road width trail again. The wide track is about 2 miles long before another section of narrow single track cuts across a hillside and back to the wide track where a pretty good climb begins. Once riders reach the top, there is a fast descent with some surprizingly sharp turns, then another and steeper climb. At the top of this climb, racers will go through a tunnel then follow the wide track around a roller coaster loop for another mile or so. Near the bottom of a descent, there is a very sharp turn onto a mile of twisted and narrow single track that climbs and descends up and over 2 ridges before it takes riders through another tunnel. With less than a mile to go, riders will traverse a hillside on a single track then join the wide track and head toward the TA. After transitioning back to the last 2.2 mile running leg, racers will follow single track up a ridge then join the wide track trail for a while then back onto a fairly straight and fast single track. When they hit the wide track again, they have less then a mile to go to the finish line! Next time I ride it, I will take some photos to edit into this post. 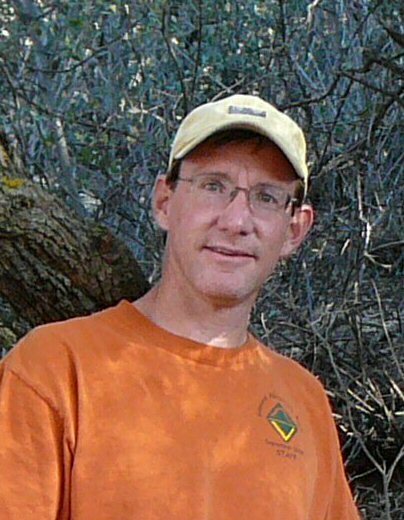 Posted by Dave Of Prescott in About this Blog, Adventure Recreation, Events, Mountain Biking, Trail Running, trails. This afternoon Nate, Tim and I went out to Pioneer Park to ride the GORD course but backwards. It is now all dried out and in really good shape. If I go out there (and hopefully get more of you out there) a few more times before the event, the bike course should be in tip top shape. In the post before this one, I uploaded the course map for anyone that wanted or cared to see. I know it is archaic looking with highlighter and handwriting, so I will work on something that looks a little more professional. The race is 2 months from today, and entries are trickling in. Remember, it will cost you an extra $5 if you wait much longer! Tim said he and his wife might run it as a relay team….cool! I just finished mapping the course for the GORD in March. The Pink route is the initial Trail Running leg of 1.5 miles. The Blue is the next part of the course, the Mountain Biking leg 8.1 miles. The Yellow is final Trail Running leg of 2.2 miles. I went out to Pioneer Park yesterday afternoon to pre-ride the mountain biking leg of the upcoming Go! Off Road Duathlon (GORD). Ray came along to check out the course. I don’t think I can get him to race, but he offered to volunteer. Thanks Ray! Almost all of the trails were in very good shape. The one exception was the Legacy Trail, because someone had taken horses on it while it was still soft and damp. There were big horse hoof holes (like the aliteration?) I guess I could have said huge horse hoof holes, that will turn into knarly little bumpies when they dry out. Someone had been doing some erosion control on the trail though….Kudos to them! Posted by Dave Of Prescott in Events. 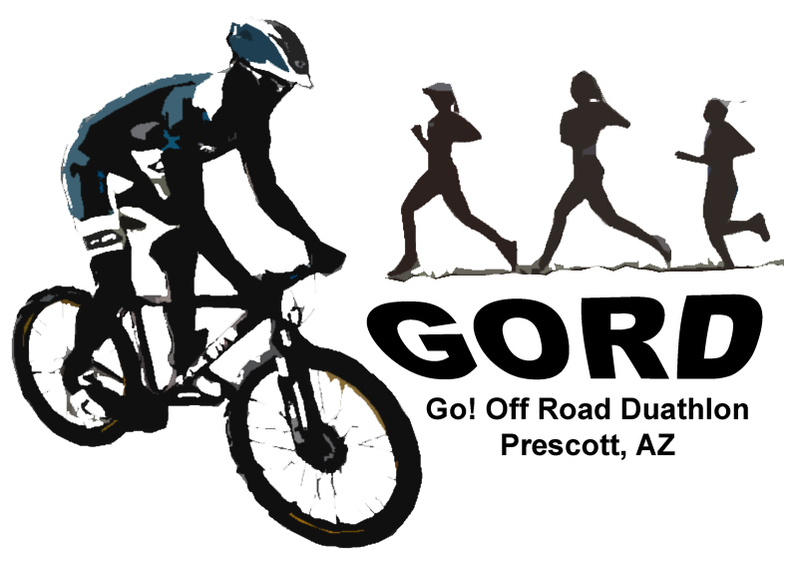 The Go Off Road Duathlon (GORD) has picked up another sponsor for the race that is to be held March 14th, 2009 in Prescott, AZ. Thanks to BuzzMug.com for stepping up as another one of our growing list of sponsors. Visit BuzzMug.com for everything coffee and more! Posted by Dave Of Prescott in Adventure Recreation, Events. We just picked up the sponsorship of Clif Bar for the GORD in March! The Go! Off Road Duathlon (GORD)will take place in Prescott on March 14th, 2009. Registration is now open on either Active.com or you can download the registration page and mail in a check. You’d have to be out of your GORD (get it?) to miss this one! Early Sunday morning I drove out to my friend Pat’s house and we took a mountain bike ride from there. He lives on the west side of the base of Mingus Mountain near Prescott. We started on about a mile of pavement heading out of his housing development, then turned onto dirt two-track that headed directly toward (and UP) the mountain. When we got into the juniper trees, we headed north along the flank of Mingus for a few miles. This was typical two-track for this area, alternating between extrememly rocky and nice and smooth. Finally we headed back to the west to form the 3rd side of an elongated rectangle, then blasted downhill back toward his house. Pat doesn’t ride a lot, but he did great. 12.5 miles in about an hour and a half. After we got back, we loaded up his kids and our wives and took a 4wd trip out to the Verde River for a picnic. On the way out there, we were driving the FR318 (this was once a narrow gauge railroad) and who do I see mountain biking out in the middle of nowhere? Steve Becker! Steve had someone else with him, but I couldn’t tell who it was. That reminds me, if I want to find out what the fastest time is likely to be on the GORD, I should ask Steve to come run it for me. I spent Saturday morning deciding on then vetting the course for the GORD (Go! Off Road Duathlon) that we will be putting on in March. I still don’t have any official word out there (like registration details), but that should come next week. If all goes as I would like, it looks like the first trail run will be just over 1.5 miles, then a mountain bike ride of 8.4 miles, followed up by another trail run of 2.2 miles. It will take a little time to get it all worked out, but meanwhile we are in search of a title sponsor and other prize sponsors. The GORD is slated to be held on March 14th, 2009 in Prescott. Announcing an all new event for the Prescott area. Brought to you by us at GO! Adventure Recreation LLC. Having produced the Gilmore Adventure Race for the last 7 years, this is our first try at putting on a duathlon, and it will be Prescott’s first off road duathlon. route will be posted as soon as we have them nailed down. You have to be out of your GORD to race in this one!